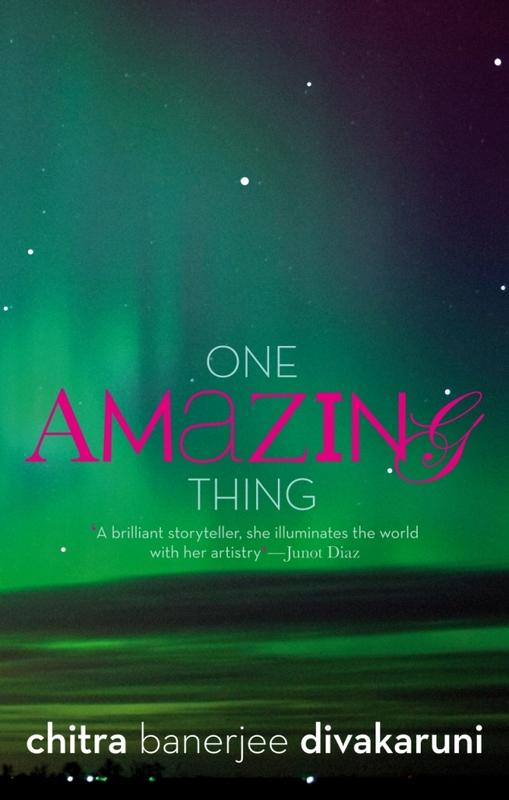 One Amazing Thing by Chitra Banerjee Divakaruni is an uncomplicated tale of humanity. 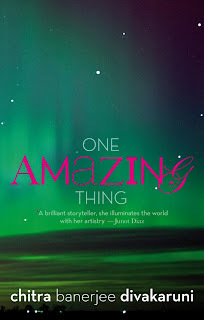 One Amazing Thing by Chitra Banerjee Divakaruni is the story of 9 people who are thrown together by an act of nature. Nine different characters – Uma, a young Indian woman brought up in the US, Jiang, an old Chinese-Indian lady settled in the US and her granddaughter Lily, Tariq, a young man of Indian origins but brought up in the US again, Mr. & Mrs. Pritchett, an elderly couple with a strained marriage, Cameron, a black man with a past, and finally Malathi and Mangalam, the staff - find themselves trapped by an earthquake at the Indian Consulate in America. How they hold onto hope while learning about each other and coping with the predicament that they have suddenly found themselves in, forms the rest of the story. I guess I always try to find a little bit of myself in the protagonists of all the books I read. In this one, this particular sentence about one of the characters, Uma, caught my eye: “When flying, she always chose a window seat so that when the plane took off or landed, she could look down on the tiny houses and imagine the lives of the people who inhabited them.” Yep, sounds like me alright! I am a big fan of Chitra Banerjee after reading The Palace Of Illusions. I enjoy her writing style and the thoughts that they provoke in me. In One Amazing Thing, I also enjoyed her sense of humour. For instance, “The pain in her wrist was still there, but like a nagging old relative to whose complaints she had grown accustomed.” - Don’t we all know that relative!? I also really liked the way she describes several names – Farah: “…like a yearning poet’s sigh”, Flurry’s: “…a delicious name that melted in one’s mouth like the lightest of pastries.” Lovely, no? I went back and repeated the names to myself – marvelling at how appropriately the author managed to capture the spirit of these names. To keep up their flagging spirits and for want of anything else to do, the group starts sharing stories. Each person tells a story from their life – through which we learn about the hopes and fears, the dreams and disappointments, the plans and mistakes that fill each of our lives. Each story gives us a peek into the lives of the protagonists and makes us understand the reasons behind why they are who they are. Of all the stories, I found Jiang’s and Mrs. Pritchett’s to be most moving; the former for being a victim of unfortunate circumstances and the latter for seeming like she had it all – only to discover belatedly that she didn’t in fact. Malathi’s story was rather predictable, while Tariq’s was quite expected in today’s Islamaphobic world. One thing that I didn’t like in the book was its open ending. I hate open endings – be it in movies or in books. I do not like it when the author leaves readers hanging in the balance, wondering whatever happens next and left to draw our own conclusions! But apart from that, One Amazing Thing is a relatively simple story. The Palace Of Illusions was a complicated book - given that it was a woman’s point of view of the great epic Mahabharat, which explains the multiple layers and dimensions. One the other hand, One Amazing Thing is a straight forward book that reiterates the fact that life- and people - is never black and white. P.S: Around the time that I was reading this book, a major earthquake struck Iran and we felt the tremors all the way here in the UAE. This is the second time I've felt an earthquake, but that was a spooky coincidence indeed!